Ginger is my jam, for so many reasons. More than anything though, its flavour is beautifully unique and aromatic and lends itself to so many types of cuisine and baking. Today’s recipe is for puffy, filling and festive cupcakes. 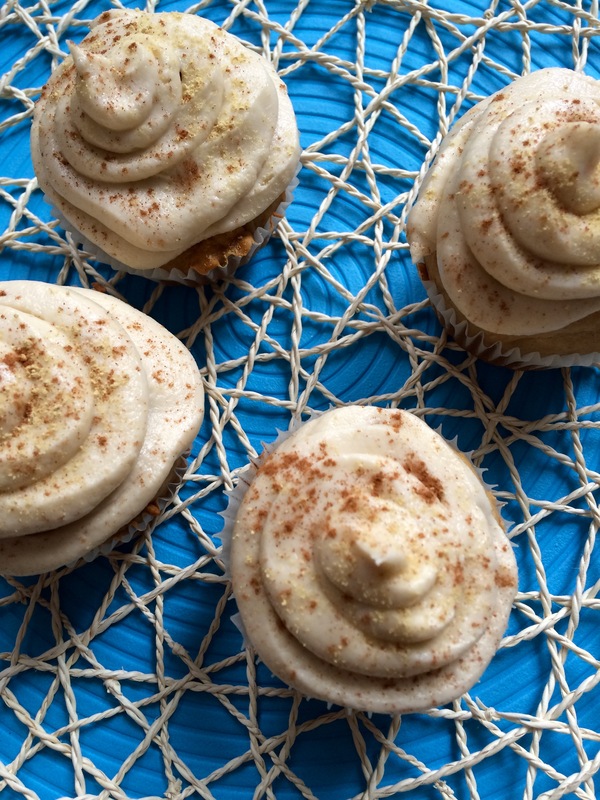 ‘Tis a sophisticated twist on traditional cupcakes with bursts of assertive crystallized ginger speckled throughout these beauts. 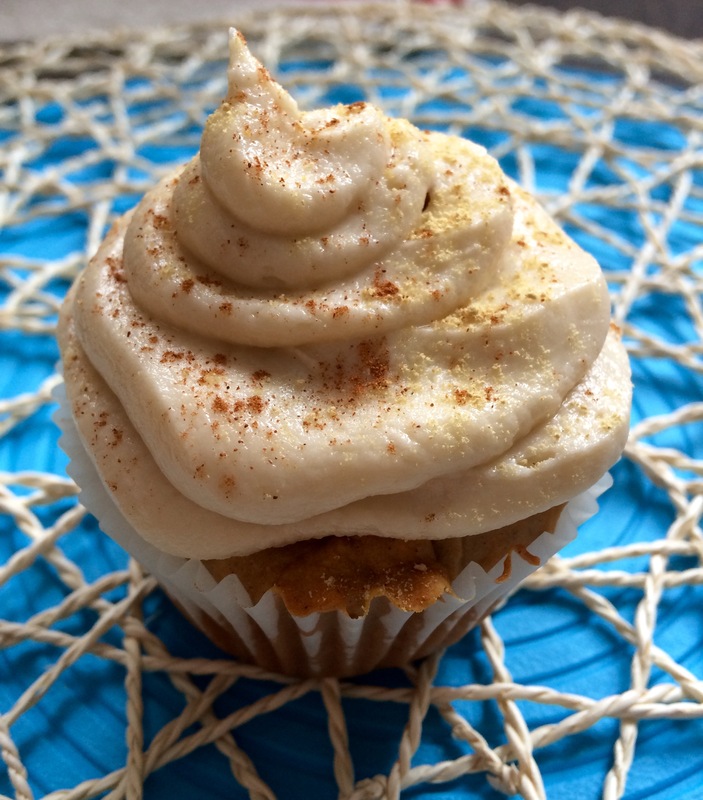 These tasty treats are made with wholesome foods like B6-containing banana, satiating coconut oil, unbleached organic flour, robust spices like antioxidant-rich cinnamon and quease-combating ginger and energizing honey – they’re basically cupcakes on a mission (to fill you up with goodness 🙂 ). But please, see/taste for yourself! Line a 12-cupcake cupcake tray with paper liners or grease with vegetable oil. In a large bowl, sieve together the flour, baking powder, baking soda, ginger, cinnamon, crystallized ginger chunks and salt. In another bowl, combine the honey (or maple syrup), oil, applesauce and soy beverage and mix with a whisk until smooth. Fold wet mixture into dry mixture and stir until well mixed. Pour mixture evenly into the 12 cupcake liners and bake or 15-20 minutes. For the icing, combine all “icing” ingredients in a bowl and mix (use a hand-held mixer if necessary). 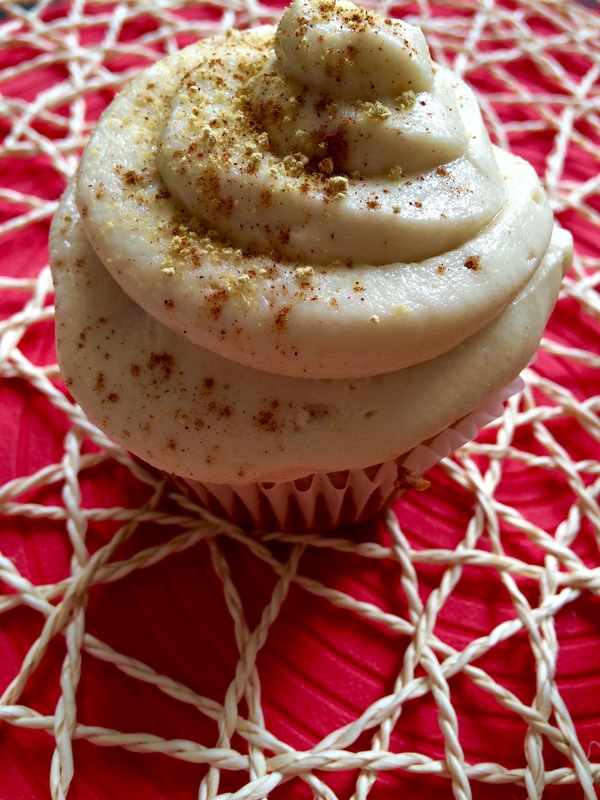 Ice the cuppie cakes, dust with a little ground ginger and enjoy! A double dose of ginger! What could be better?